Hello! Welcome to The Lost Adventure. 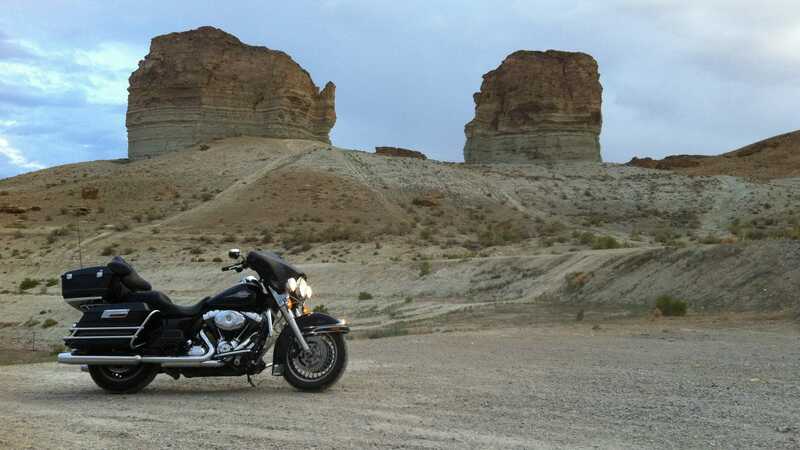 We are a motorcycle touring company who work alongside EagleRider offering information and tips to help you plan your US riding tour be it a guided tour, self-guided tour or bike hire. We specialise in motorcycle tours of America. We have over 25 years of experience running tours, and have hundreds of thousands of touring miles under our wheels. And we add to that number every year, because like you, we’re riders. We work with EagleRider simply because they’re the best in the business. They’ve got over 150 locations in the United States, and a fleet of 4,000+ motorcycles – bikes from Harley Davidson, BMW, Honda, Triumph and other manufacturers. There location coverage is second to none so support is the best there is. Along side this support is an unmatched tour programme covering the whole country. About The Lost Adventure EagleRider Agent: Why is our company called The Lost Adventure? we’d say: well, remember when you were in your teens, or just out of them, and you first got keen on bikes? Remember pouring over magazines, reading up the spec on the latest models, and thinking, “One day, I’m going to get on my bike, point it at the sunset and just ride.” For whatever reason, whether it was hard work, raising a family, or simply not having the free time, many of us postponed those dreams. We started the company to help you bring those lost adventures back to life. 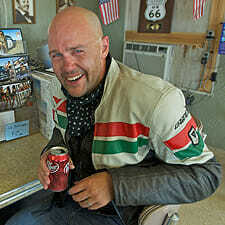 Have questions about our trips, Route 66, Coast To Coast, riding in America, or hiring a bike? Want to discuss a bespoke trip that we’ll build with you from the ground up? Give us a call or send an email . We’d love to help you. As the former Managing Director of Big Rock Bike Holidays, Tim Orr has over 20 years of experience running motorcycle holidays. Started in 1996 under Tim’s guidance, Big Rock took away thousands of customers to World Superbike and MotoGP races and on riding holidays around the globe. Tim’s business relationships with premier companies including the Suzuki MotoGP team, Suzuki Alstare WSBK, Corona, SBK International, and EagleRider speaks volumes about his integrity and abilities. After selling Big Rock to a corporate entity, Tim decided to start a new company that is the culmination of everything he’s learned on the roads and racing paddocks around the world. So after a short break (because who doesn’t deserve a vacation after 15 years!) sailing his catamaran around the Med, Tim launched The Lost Adventure in late 2010. “Hi, I’m Tim. The Lost Adventure’s most experienced guide. I’m happy to help you plan your ride – be it a one day Las Vegas rental, a Coast to Coast blast, or a full Guided Tour. We’ve got over half a Million miles (yes, really!) of experience riding in America and an ever-growing band of very satisfied customers across the globe, many of whom book with us again.